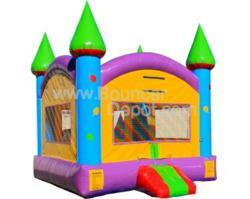 Anyone Who is Looking For Bounce Houses for Sale Can Join the Factory Tour Provided by Bouncer Depot. 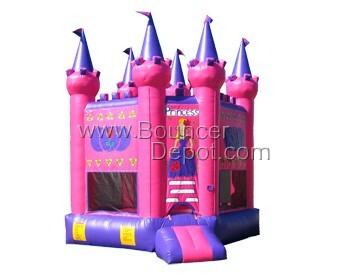 Bouncer Depot, an exciting Los Angeles, CA based manufacturer and wholesaler that offers the most entertaining family fun bounce houses for sale one could possibly find, opens its doors to the public and cordially invites everyone to their massive factory show room. Their line of inflatable products are perfect for anyone who wants to spruce up their birthdays, family picnics, reunions or everyday weekend fun. With their innovative line of bounce houses, moon jumps, and even inflatable water slides for sale, their impressive bounce house collection is the perfect spring fun kick-off. Spring fun is just around the corner, moving winter aside for family fun time and, with plenty of activities at home for children and adults to plan, Bouncer Depot has decided to open their doors in grand fashion to everyone seeking something exciting to jazz up their events. 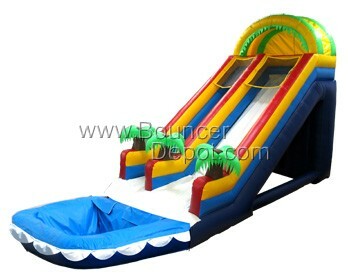 Known the world over, Bouncer Depot has some of the most innovative line of moon jumps, inflatable water slides, inflatable jumpers for sale of different shapes including castles, and some of the most exciting inflatable fun jumpers one could wish for. Begin the spring fun with a ‘bounce’. A direct manufacturer that’s constantly changing their designs, adding new moon jumps for sale and rewriting the rules of fun, Bouncer Depot deploys in-house designers who create breath-taking inflatable goods in all shapes and sizes for families to enjoy. Backed by long-life warranties and even a 30-day money back guarantee, Bouncer Depot stands firmly by the inflatable products they manufacture and ship across the U.S., Canada, Mexico, Europe and South America. All products are child safe while manufacturing facilities surpass ISO 9001 standards for factory excellence and safety. For families on a budget, Bouncer Depot offers consumer-friendly financing solutions so customers can get the bounce house or moon jump they need now while not stressing on the lack of finances to back the purchase. If that’s not enough enticement, the fact they’ll match any price should be enough to convince the consumer to give they exciting direct-from-factory store a glance. Many people have reported filling their backyards full of inflatable goods from Bouncer Depot since they’re cost-effective and outrageously fun for all ages. An American based manufacturing company resting in the quiet California town of Pacoima, Bouncer Depot manufactures, designs, ships and has perfected the inflatable fun goods from ground up. Offering an innovative and constantly evolving line of inflatable jumpers, bounce houses, moon jumps and sleek inflatable water slides, customers can expect nothing less than 110% effort and passion in each inflatable that is manufactured with special ordering always a customer option.. Inflatable bounce houses are a passion, a way of life, the epitome of Bouncer Depot. 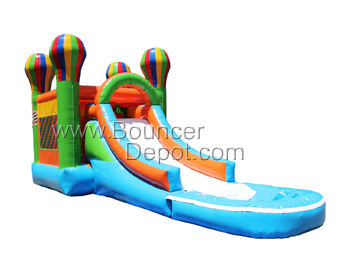 When you are prepared to bounce the spring or summer away with Bouncer Depot, you have excellent options at your disposal which will get your directly to sales or customer support, depending on your needs. Our experienced tem of sales representatives will be glad to answer to all of your questions and concerns. 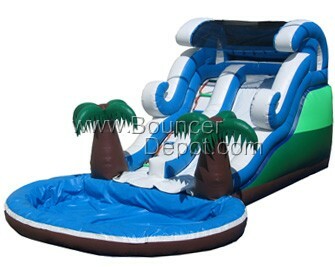 Please call us or visit us at http://www.BouncerDepot.com for more details.